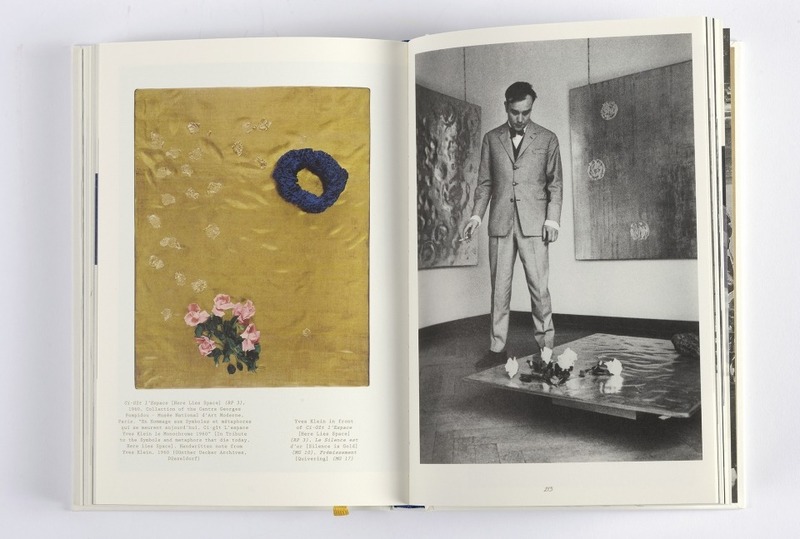 Between 1957 and 1962, the year of his premature death, Yves Klein had a considerable number of exchanges with artists and institutions in the young Federal Republic of Germany. He spent several months in the Rhineland – in Düsseldorf or Gelsenkirchen – preparing exhibitions and creating new works on site. 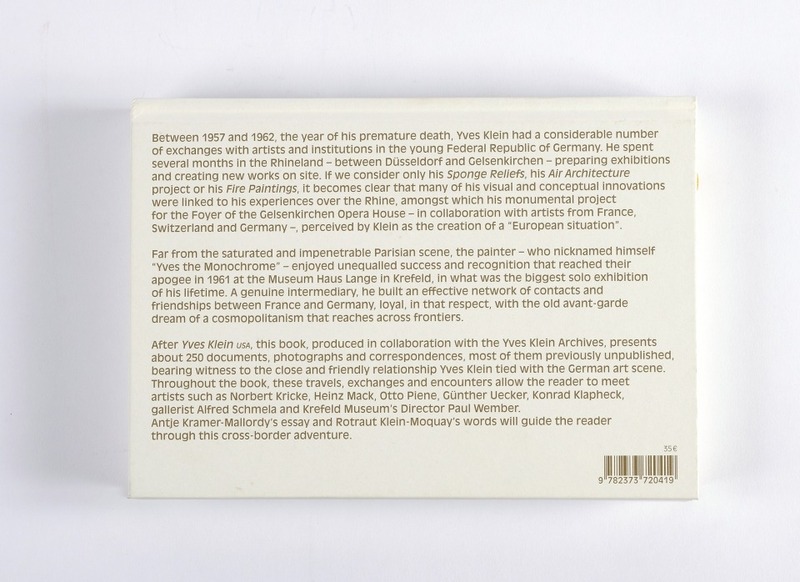 If we consider only his Sponge Reliefs, his Air Architecture project or his Fire Paintings, it becomes clear that many of his visual and conceptual innovations were linked to his experiences over the Rhine, amongst which his monumental project for the Foyer of the Gelsenkirchen Opera House – in collaboration with artists from France, Switzerland and Germany –, perceived by Klein as the creation of a “European situation”. 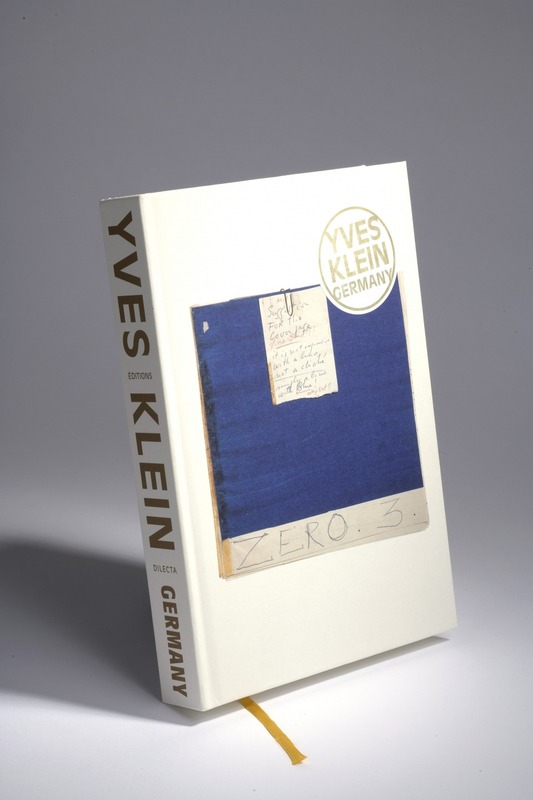 Far from the saturated and impenetrable Parisian scene, the painter – who nicknamed himself “Yves the Monochrome” – enjoyed unequalled success and recognition that reached their apogee in 1961 at the Museum Haus Lange in Krefeld, in what was the biggest solo exhibition of his lifetime. 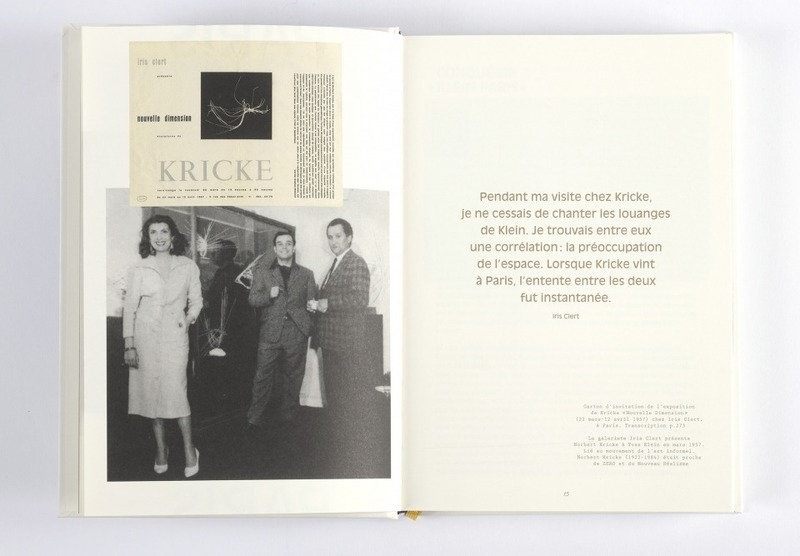 A genuine intermediary, he built an effective network of contacts and friendships between France and Germany, loyal, in that respect, with the old avant-garde dream of a cosmopolitanism that reaches across frontiers. 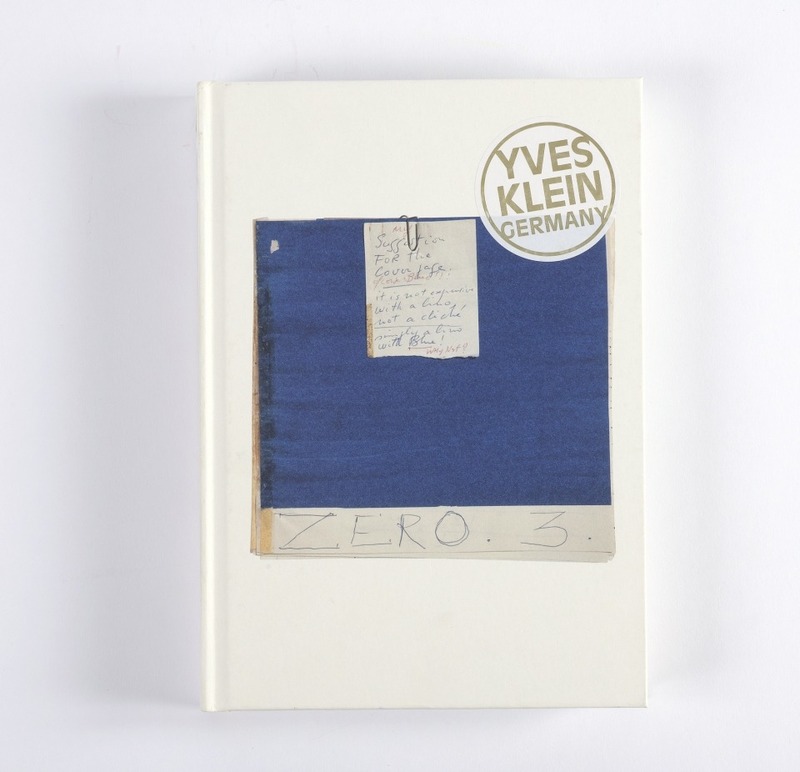 After Yves Klein USA, this book, produced in collaboration with the Yves Klein Archives, presents about 250 documents, photographs and correspondences, most of them previously unpublished, bearing witness to the close and friendly relationship Yves Klein tied with the German art scene. 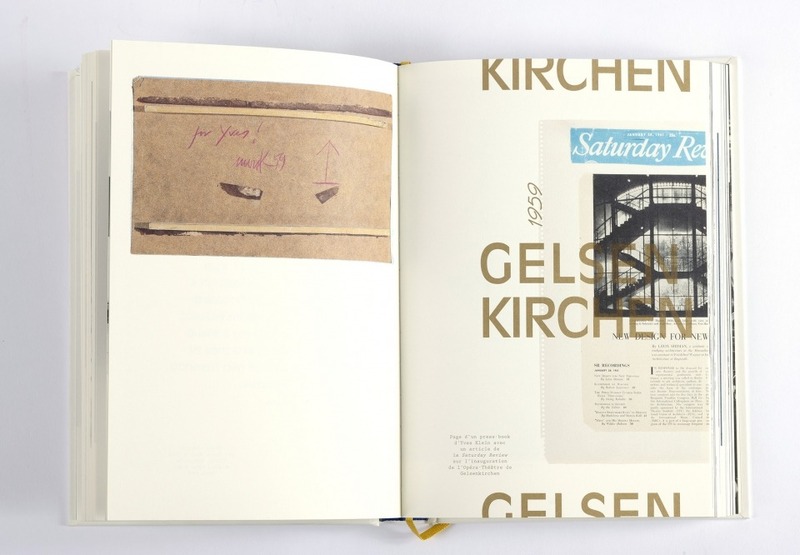 Throughout the book, these travels, exchanges and encounters allow the reader to meet artists such as Norbert Kricke, Heinz Mack, Otto Piene, Günther Uecker, Konrad Klapheck, gallerist Alfred Schmela and Krefeld Museum’s Director Paul Wember. Antje Kramer-Mallordy’s essay and Rotraut Klein-Moquay’s words will guide the reader through this cross-border adventure.